Conversations In A Community Room is a monthly workshop series that unpacks hot topics and important social justice issues and topics that relate to disenfranchised groups in the Rochester Community and beyond. The series was co-created (and is co-facilitated) by 540WMain’s Executive Director Calvin Eaton and Mercedes Phelan who in addition to her work as a Lead Community Organizer with Metro Justice/AQE serves as 540’s Community Activist Liason. 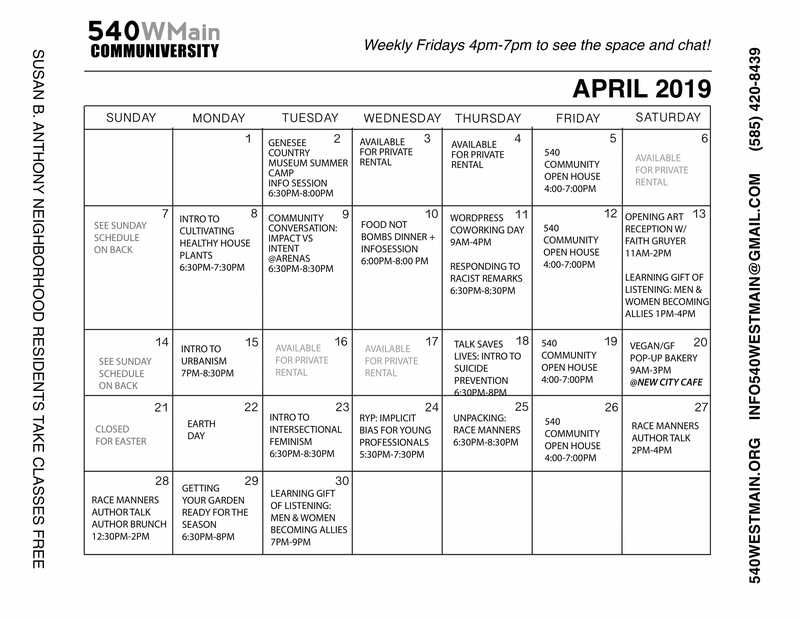 The monthly Conversations (workshops) are centered around issues relating to colorism in the black community, sexual assault, intersectional feminism, police brutality, and disparities in education among others. Hugely popular and often sold out, the conversations have come to represent a safe/sacred place of learning, sharing, vulnerability, honesty, and reflection. 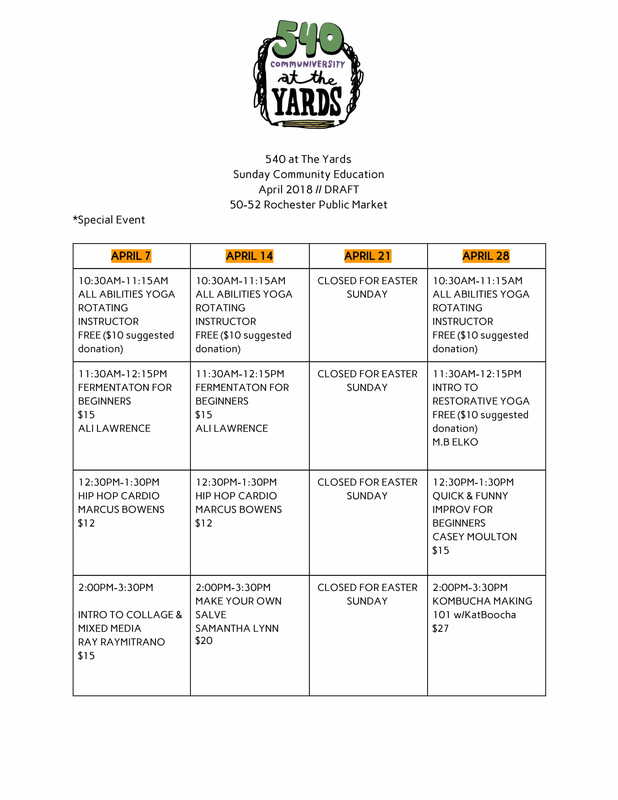 The workshops are always $5/ per person and open to all members of the community.